Why coffee vending coffee maker can makes you monies. Coffee vending machine might not be the latest craze currently, but those that are in the industry would know that more and more players are coming into this market. People used to associate vending machine with low quality, freeze dried format coffee. Sure, it is instant, but companies have poured millions into it (most notably Nescafe with its classic Lioness machine) to ensure that you get the same consistent quality each and every time you dispense a drink from the coffee vending machine, so I would never call that low quality. But, with so many new players coming in, it is no longer about vending machine or even the sophisticated table top vending machine but gourmet coffee machines. 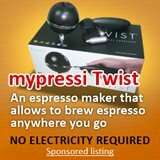 You have companies offering Saeco espresso machines and currently companies are even offering Keurig free on loan to grab some market share. The question is why? Haven't many gurus say that coffee market is saturated? 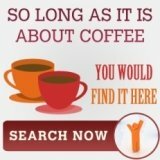 It is, but the gourmet coffee is experiencing the highest sales increase compared to any food commodities. This is of course, thanks to the brand power of gourmet coffee shops like Starbucks. And most people that visits starbucks are office workers, and that explains why more offices are upgrading their pantry from the sachets coffee to coffee vending table machine and some even upgrade all the way to espresso machines. With a year on year increase of 30% (source: US coffee association), developed countries like US present a huge gourmet coffee market. And since most of us spend 70% of our time in office, the rise in the consumption of gourmet coffee, means that many office would upgrade their coffee systems sooner or later -coffee vending business opportunity! 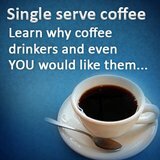 The office coffee business is in fact a better coffee vending business, it is usually confirmed sales. 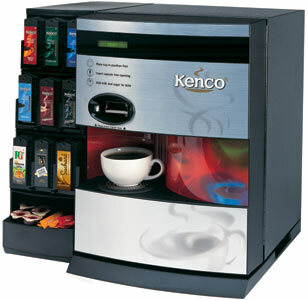 Office coffee machine are different from traditional vending machine, as the former is being paid by the company and they pay according to the coffee dispense while traditional vending machine depends on people vending it. Most companies provide free on loan table top or even espresso machines to offices, then they would request a minimum sales from the office, so isn't that confirmed sales? Moreover, being paid by the company, office workers got no qualms about drinking as many as they like, and this would likely drive up the coffee sales. Although, I tried to highlight how gourmet coffee is growing, that leads to office upgrading their pantry to at least a table top vending machine (so that their workers would not visit the coffee shops, and be more productive), it is the "paid by company" coffee that really gives you the coffee vending machine provider the better monies. So, do you see why vending coffee is a good business? 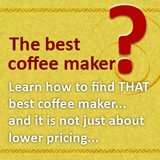 Coffee makers for home use?